Out of Salvador, the capitol of Bahia, the lightening hot kitchen that gave us the original samba, capoeira, Caetano Veloso, Gilberto Gil, Olodum and Ilê Aiyê, comes Sundaryalahari fusing Middle Eastern, Brazilian and the great American and British traditions of Funk, Rock and Blues. 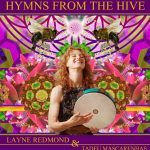 From 2006 -2008, Layne Redmond had been teaching her hybrid techniques on Middle Eastern style tambourine to a core group of cutting edge percussionists in Salvador, Brazil. 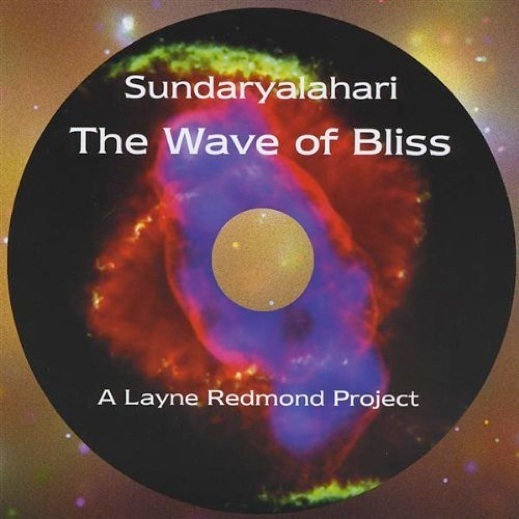 There she met Tadeu Mascarenhas, a young recording engineer, producer and genius keyboard player, who became her co-producer on four projects. Besides the amazing core percussionists: Gil Santiago, Paulo Silva, Moisés Lama and Ubaldo Oliveira, they brought in the outstanding guitarist Fred Barreto and fabulous singer Mariella Santiago. These young musicians grew up immersed in the musical traditions of Salvador but also playing American and English rock and funk. 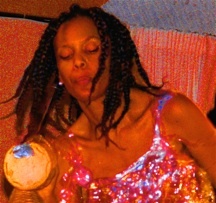 Ubaldo’s grandmother is a priestess of candomblé – he was playing atabaque in ceremonies by age six, plays with Motomba and directs the bloco Akidara. 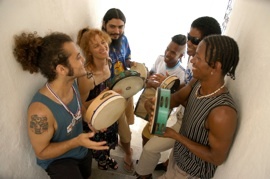 Moisés has played with Olodum, Ile Aye, Os Zarabe, Daniela Mercury and is now based in Belgium. 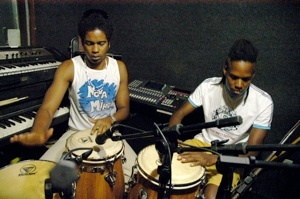 Gil is one of only three percussionists in the state orchestra of Bahia and won the coveted Troféu Caymi, awarded to the most outstanding musician in Bahia. Paulo is based now in Spain playing with a number of European bands. Fred, a great acoustic and electric guitarist, bounces back and forth between Brazil and Europe. 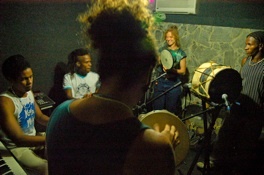 Mariella, touring and recording her own projects, has also backed up Gilberto Gil and Carlinhos Brown. 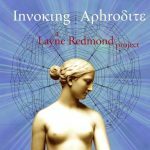 Blurring boundaries, her provocative style draws on her heritage but flows in distinctly original directions –- think Joni Mitchell meets Ella Fitzgerald at a candomble´ ritual!